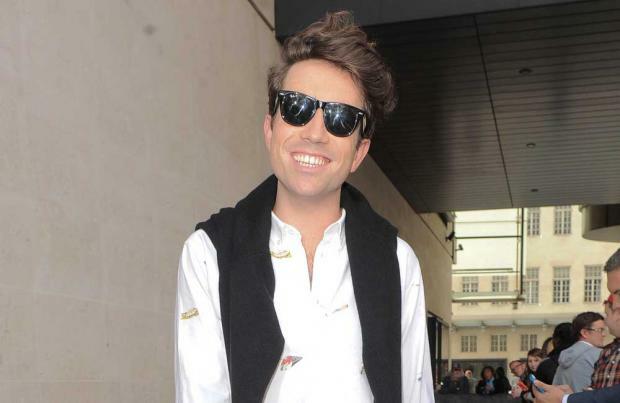 Nick Grimshaw wants Shaggy to be 'The X Factor's new voiceover artist. The 30-year-old judge is hoping the 'It Wasn't Me' hitmaker will join the ITV singing competition for the upcoming series following the departure of booming TV announcer Peter Dickson, who has quit the show after 11 years. He said: "I thought Shaggy could replace him, I thought that'd be nice don't you think?" The BBC Radio 1 DJ isn't the only one who would like to see the 46-year-old singer come on board as fellow judge Rita Ora was also enthusiastic about the idea. Speaking on ITV's 'Lorraine', she agreed: "Shaggy would be great!" Meanwhile, Only The Young - who appeared on the show last year - have blasted their mentor and former judge Louis Walsh for failing to keep in touch with them after the competition came to an end. Mikey Bromley said: "I tried to FaceTime him yesterday but he didn't reply. We've tried but he hasn't been in touch." And they aren't the only band to have been shunned by the music manager, as fellow hopefuls Stereo Kicks recently slammed Louis by saying they "blame" him for their recent split as he didn't support them after they were eliminated from the 2014 series. Lead singer James Graham said: "I'll be brutally honest - and the other boys might not want me to say this - but I blame Louis entirely. "I think he didn't support us. I think he had his mind elsewhere, naming nothing, his other boyband ... I think he was concentrating on them. He didn't want another boyband to come through maybe. I dunno, that's just guessing. But he didn't give us what he could have given us."